Teacher tenure policies make it extremely difficult for a principal to discontinue the employment of tenured teachers. These policies were instituted by teachers unions as a way to protect teachers from arbitrary treatment by principals. In Michigan, teachers become eligible for tenure after four years of satisfactory teaching. Ideally, because the current policy protects ineffective veteran teachers at the expense of their students, local schools would do away with tenure and contract with individual teachers on a yearly at-will basis, as is commonplace among private schools. In public schools, at-will teacher employment does exist, particularly in Southern states where unions are less powerful. In Michigan, at-will employment also exists among charter schools, but the unions have successfully prevented it from coming to the conventional school districts. 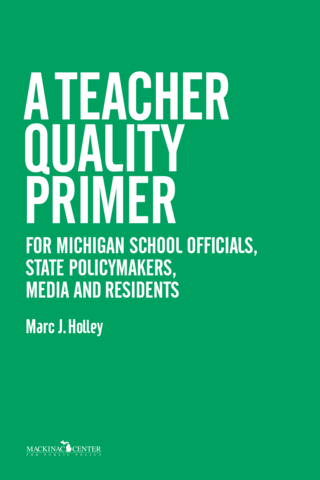 At this point, doing away with teacher tenure altogether would be an extremely contentious process, but Michigan policymakers may want to consider two other reforms. First, policymakers should consider lengthening the probationary period before teachers can be given tenure. [*] As noted above, under the current system, teachers are eligible for tenure after four years. Satisfactory service is measured by two annual supervisor observations, which inform a yearly evaluation. [†] As discussed earlier in the book, education research suggests that if a teacher has not proven himself or herself by the fifth year, he or she probably never will. Nonetheless, the reason we recommend lengthening the probationary period is to give principals greater ease in removing unsatisfactory personnel. Even when it is procedurally possible, sometimes the culture of schools can make it politically costly for principals to remove borderline personnel quickly. The inclusion of “other classroom-artifacts” with standardized student test scores may dilute the focus on teacher quality. If such class work contributes to the learning that matters, the standardized tests will capture it. Policymakers should be careful not to create policies that punish teachers who do not follow the latest teaching trends, particularly when their students are performing at a high level on standardized tests.